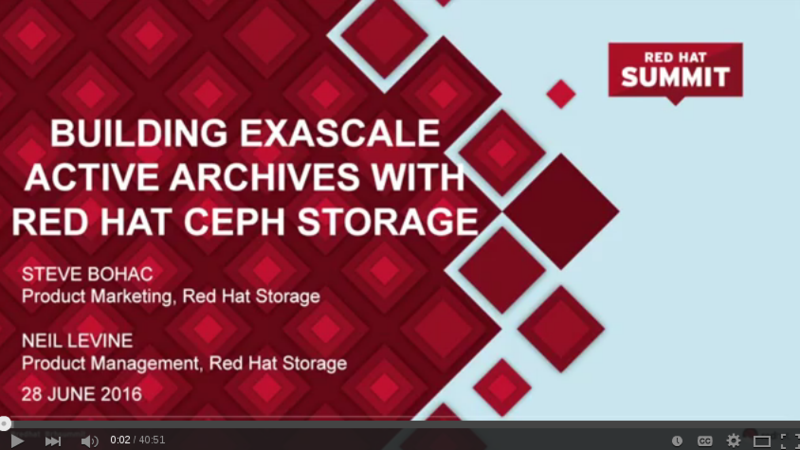 Red Hat® Ceph Storage is a scalable, software-defined block and object storage solution. Test-drive Red Hat Ceph Storage. Amazon Web Services makes it easy—and free. Block device storage and object gateway storage are available in a single solution. Red Hat Ceph Storage has a software-defined architecture you can integrate into your existing hardware and infrastructure for lower capital costs and more flexibility. Even better for your IT environment, Ceph Storage offers robust, multi-tenant storage for cloud and virtualization applications like Red Hat Enterprise Linux OpenStack Platform and Amazon Web Services. Isolate resources for peak load and recovery situations by colocating one of the scale out daemons in each storage node, thus allowing for creation of a cluster comprised entirely of storage nodes. Because this simplified strategy reduces demand for resources and hardware costs, colocation is an ideal scenario for TCO workloads. Gain insight into high-level cluster health or drill-down to specific nodes to identify performance gaps with a simple, lightweight monitoring dashboard. Improve your cluster's daily operations by learning how to respond to monitoring data (in simple Q&A format) with the Ceph Management API Reference and Integration Guide. Go from download to available storage quickly. Simplified deployment enables you to set up OSD, MON, and Ceph Manager nodes with an Ansible playbook on both RHEL and Ubuntu so that your cluster is immediately ready for your workloads. MDS, RGW, and the ceph client role can also be optionally deployed with Ansible. Migrate legacy workloads from a file-based application to an object store by using NFS v3 or v4 protocols. Platforms without a native driver (VMware and Windows) can access Ceph Storage via iSCSI, which delivers block-level access via an industry storage networking standard. Complement Ceph’s block and object storage capabilities with CephFS, which provides stability, protection from data loss, high availability, and full scale-out capabilities, such as multiple active MDS configuration. A network connection for CDN-based installations is needed to subscribe and enable repositories hosted by Red Hat. A network connection is optional for admin nodes in ISO-based installations. A minimum of six physical systems for a production system (three monitor nodes and three OSD nodes), meeting the necessary system requirements. Installing the three nodes takes about one hour. Avoid potential deployment delays due to incomplete or insufficient environment requirements. Includes all tasks needed for setting up the cluster with OSD, MON, and Ceph Manager nodes (and optionally, MDS, RGW, and the ceph client role). Valuable tips and recommendations based on experience. Building an active archive requires architecting a solution that can offer immediate access to users while keeping costs down. This session is based on practical examples from webscale application companies and content-delivery networks. 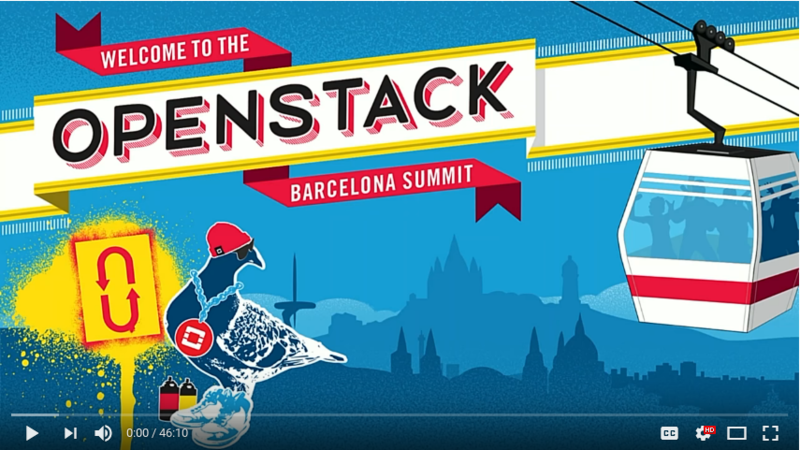 Watch how Red Hat® Ceph Storage benefits OpenStack® users and how Red Hat provides the right integrated solution for success. 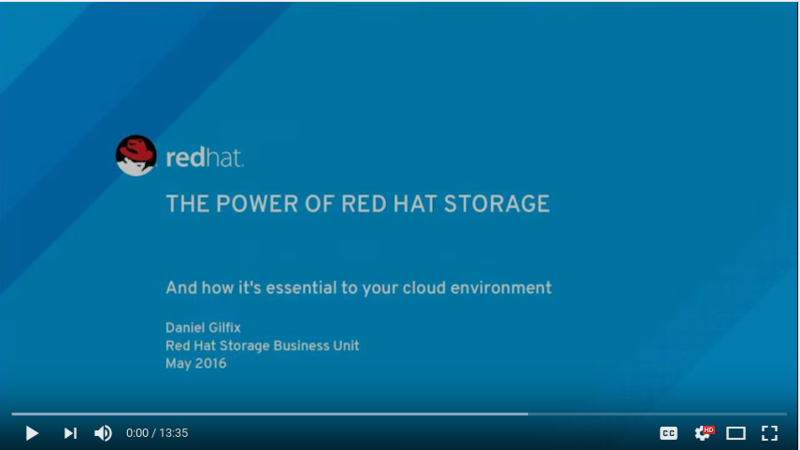 Learn how to use containers to realize greater efficiencies with Red Hat Ceph Storage. 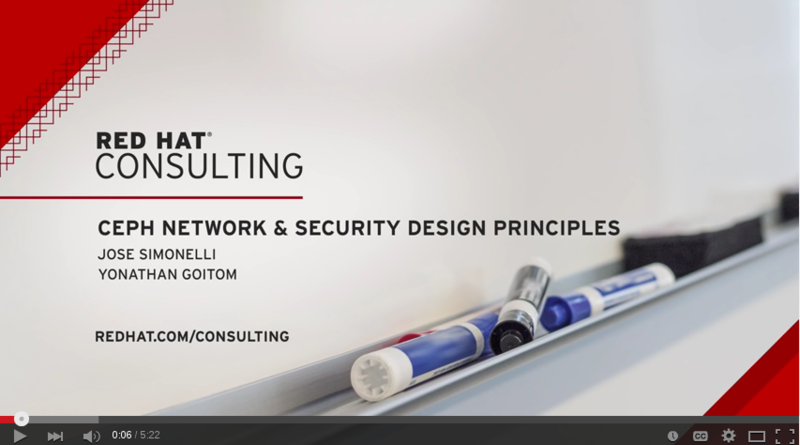 Learn about key considerations for designing a secure, highly available Ceph cluster in this Red Hat Consulting whiteboard series video. 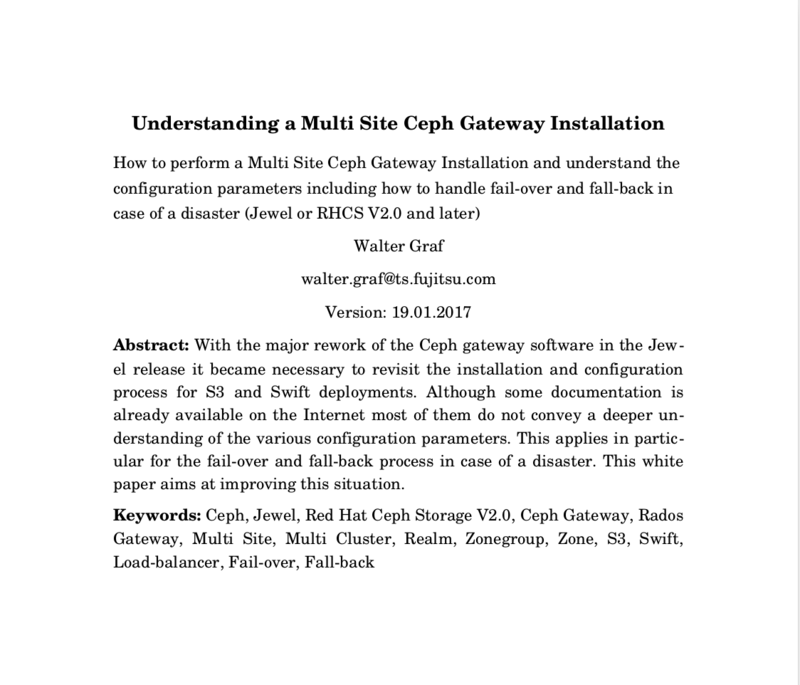 This white paper provides a deeper understanding of concepts and processes related to an RGW multi-site configuration. Red Hat offers subscription services for each major release of Red Hat Ceph Storage throughout four life-cycle phases—called Production 1, 2, and 3, and an Extended Life Phase.